Please export any data you want to keep as soon as possible. If any publisher or other entity is interested in purchasing the valuable NovelRank domain please email me a reasonable offer: mlurig@novelrank.com. I was NovelRank's biggest fan. I made it for authors like me; who barely sold any books, but it still felt good to know that someone found your writing valuable. It grew to be valuable to so many others. I'm sorry this has happened and I have to now focus on my new wife (married for the 1st time Aug 3rd) and what my future can be now that my income is gone. Compatible with Microsoft Excel, OpenOffice/LibreOffice Calc or any other spreadsheet program. Add a widget to your website or blog to display your book's sales rank. Learn more about how to customize the Sales Rank Widget on the NovelRank blog. The smart link will use the visitor's IP address to send them to their local Amazon website. NovelRank Enterprise Edition — Track any product, not just books, on your own private server. 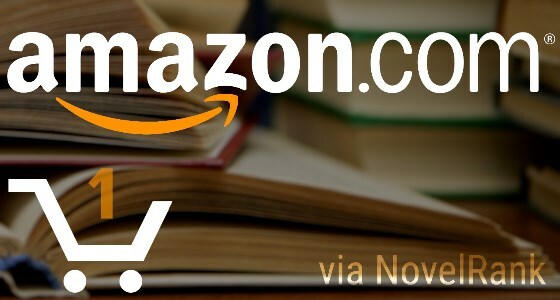 Amazon Buy Box Research Tool — You provide a UPC and we give you price, seller, reviews, and more.